The light is completely flat this morning, sun hidden behind a thick cloud cover, the sixty degree air taking on the chill of gray. Nora and I have arrived at the trail early this morning, and I am walking fast in the dull coolness. Even my senses seem dulled, no illuminations from bright sun shining through, sounds are muted and quiet, water trickling ever so gently over rocks. Every so often there is the sound of another acorn bouncing its way through tree branches before thudding to the ground. Or the screech of a squirrel cutting through the silence. Mostly I am aware of the thundering roar of Nora racing past me from behind at full speed, then abruptly stopping ahead to smell, before picking up her head and dashing off again. We are coming to the end of this morning’s loop and as if taking a cue from Nora, my pace is abruptly halted by an overwhelming scent. Intoxicating. Sweet and earthy and so seductive, like the smell of summer meeting fall in the most poignant way. I’m standing in a bit of a clearing and look around to see where this powerful smell is coming from. 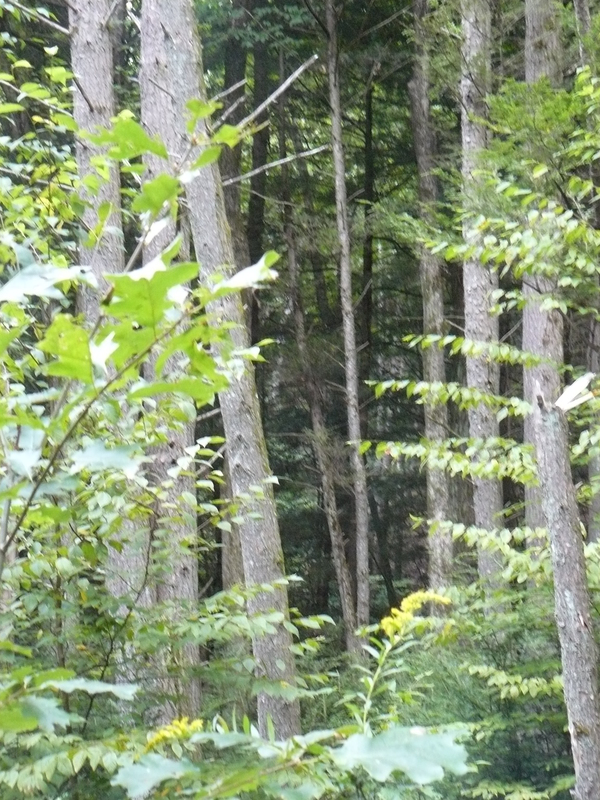 I feel the pull into the dampness of the forest beyond through the trees and as I gaze into the dark abyss beyond finally notice the yellow that edges the view. Goldenrod. Then look down and there it is, right there in front of my nose. It is the only thing that is actively in bloom, thinking this must be it as I bend my head and fill my olfactory channels with the essence of this weed. It is there somewhere, the smell that has reached deep inside of me like the most powerful of pheromones. I walk on to catch up with Nora and let the sensation settle while pondering this powerful olfactory sense. I remember in one of Nora’s training classes, the teacher noting that a dog cannot hear and smell at the same time, that when Nora is actively engaged with smelling something, I cannot expect her to hear my command. The next thought is of the cantaloupe sitting in the refrigerator. Smile. It’s a good one. I can tell from the smell. It has been filling the kitchen with its scent the past few days and I finally put it in the refrigerator last night to hold this ripeness in place if only for the overnight before breakfast. Like my grandmother, I had stood in the store the other day picking up each melon, first pressing the bellybutton for a soft yield that signals ripeness and next bringing that very spot to my nose to smell for the truth. There is simply no visual here that can make a difference to picking a good melon. 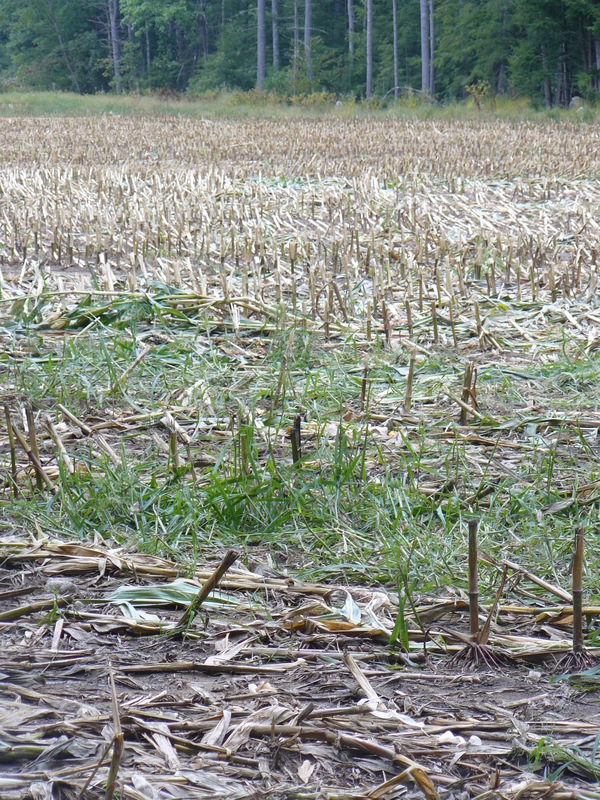 We are coming now to the edge of the cornfield that just two days ago, was still pregnant and full. 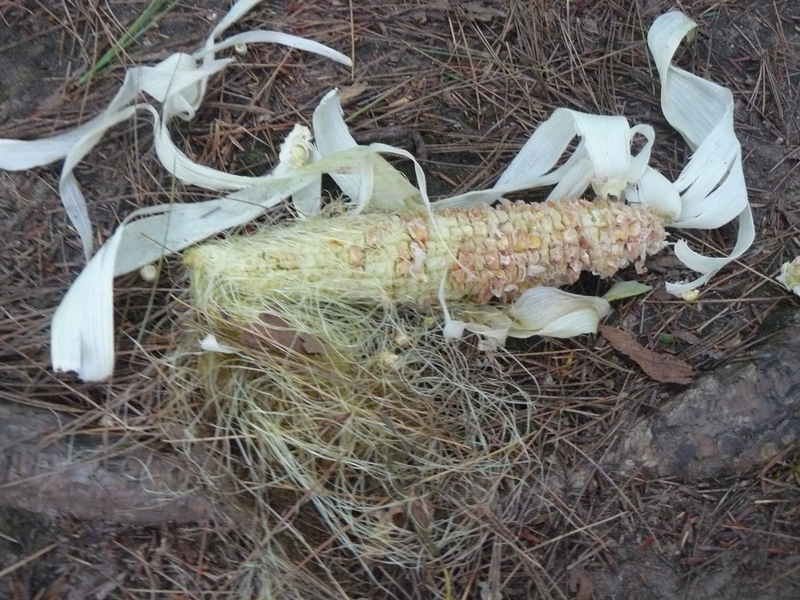 Now it is the smell of harvest that draws us in, the field completely cleared, earth meeting dried stalk meeting pine needles meeting half eaten cobs. I am oddly comforted by the impact of these olfactory sensations working through me. Home, I read about goldenrod while waiting for the chill to leave the melon. 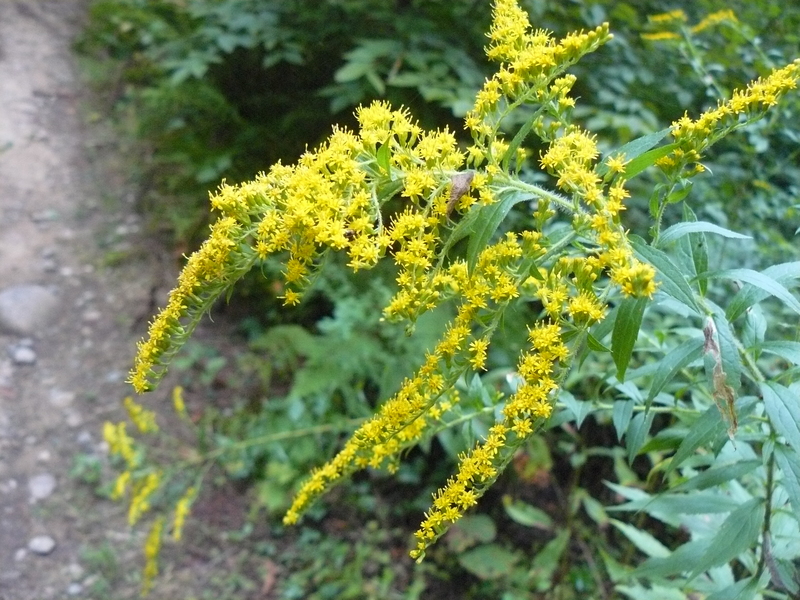 I learn that it is the leaves of a sweet goldenrod that when crushed, emit a pleasant tarragon like fragrance. Bingo! Now it is time to cut the melon in half. 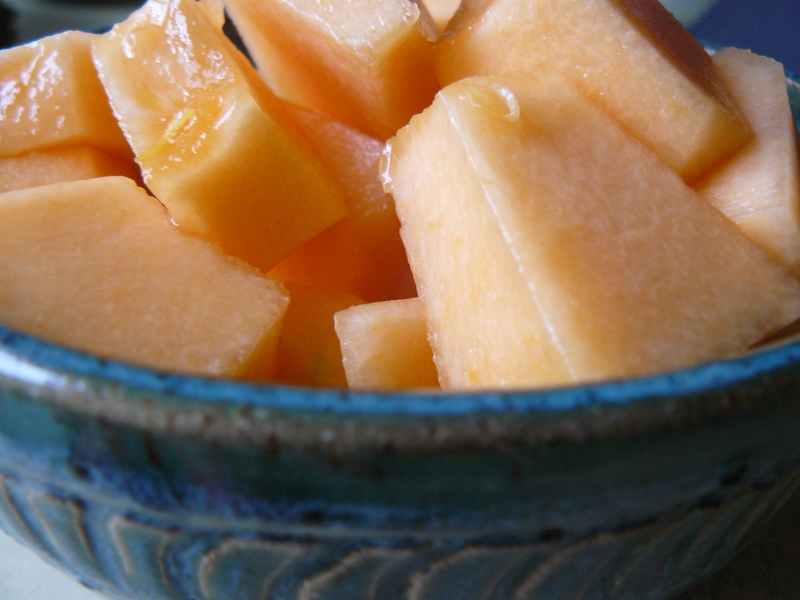 The scent released as the knife slides through effortlessly confirms that this indeed is a perfectly ripe melon. 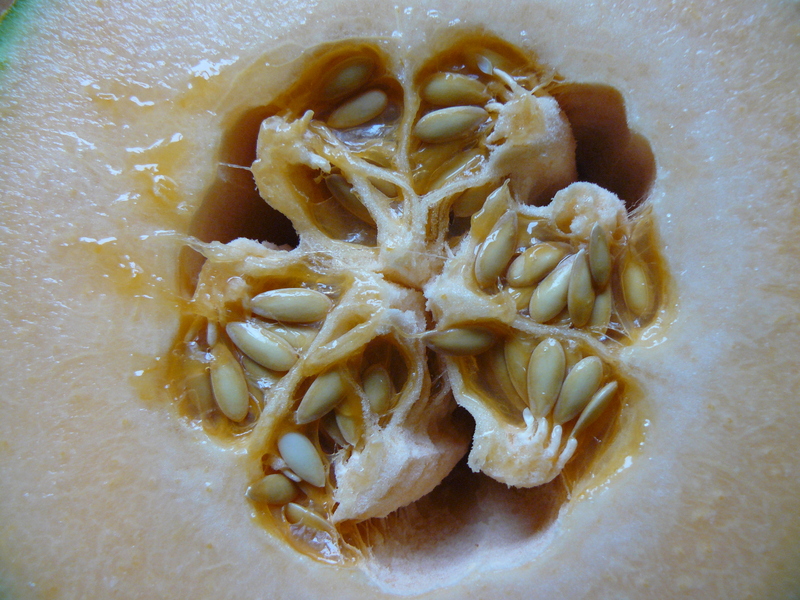 Mesmerized by the beautiful design of seeds and space in the cavity, I consider that this too is the smell of harvest and eternal return to source. I am not disappointed, olfactory instinct yielding now to the pleasure of seeing, tasting, and fully digesting the essence of this time.